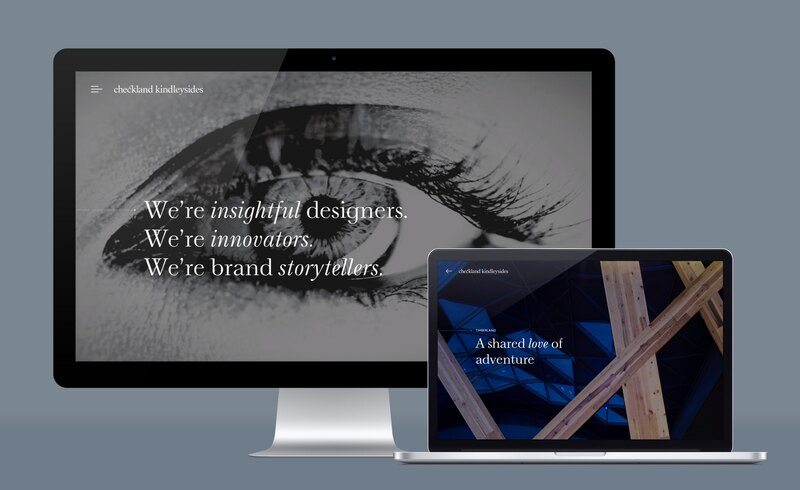 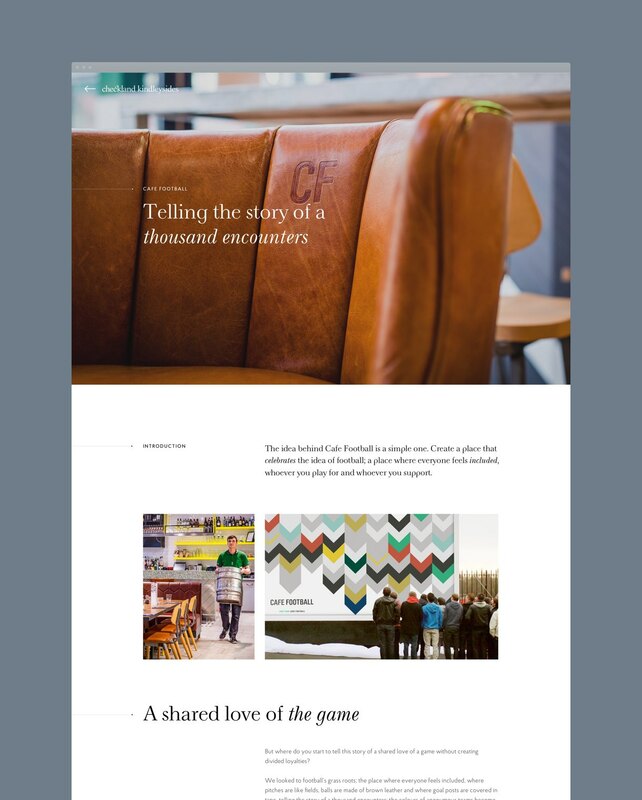 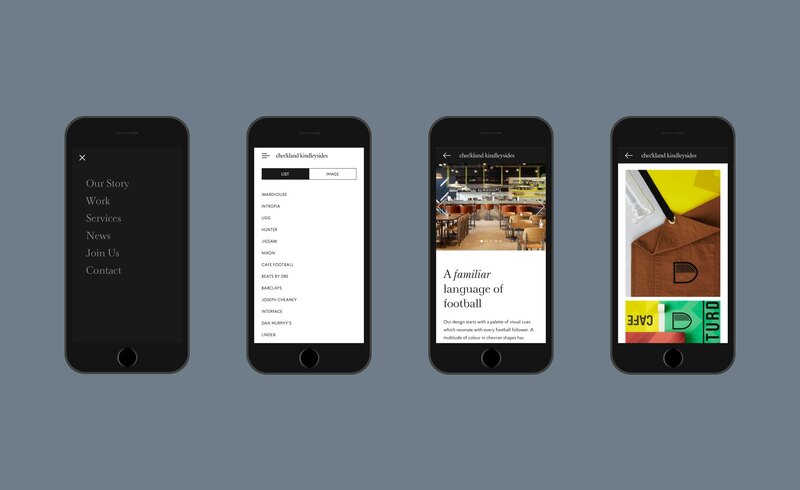 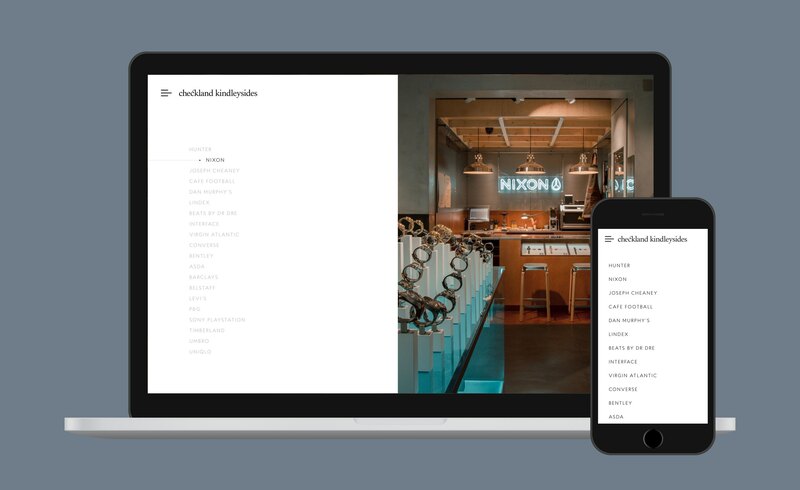 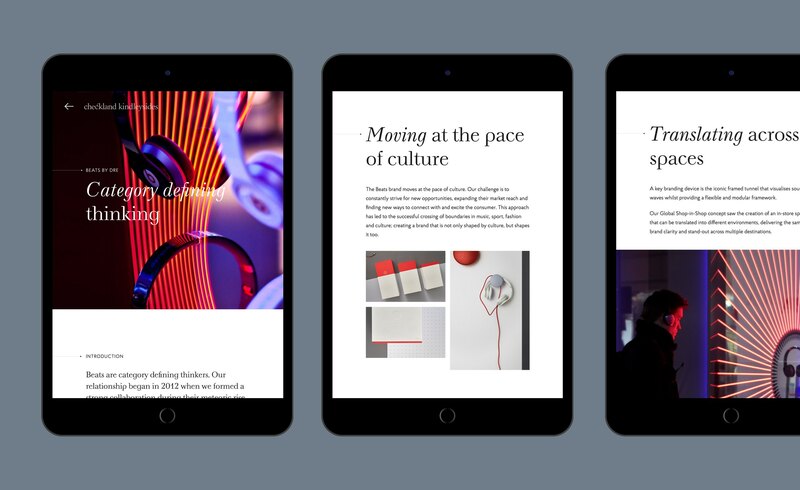 The brief was to create a new online showcase for Checkland Kindleysides, a global design agency I specialise in the art of brand storytelling. 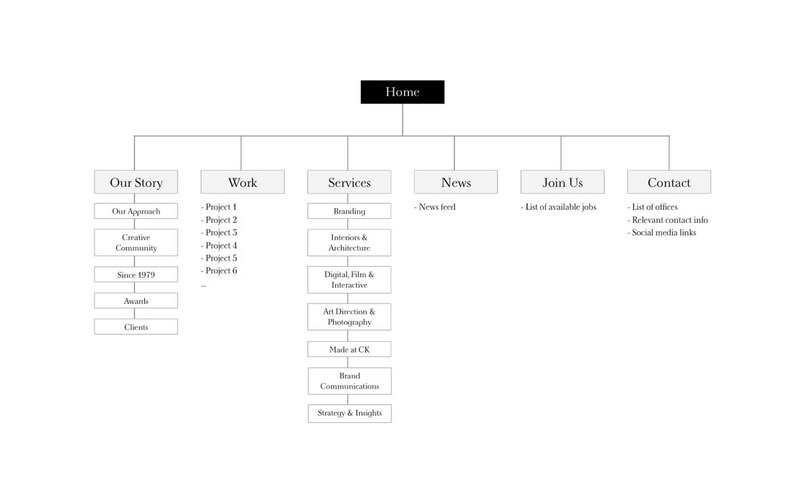 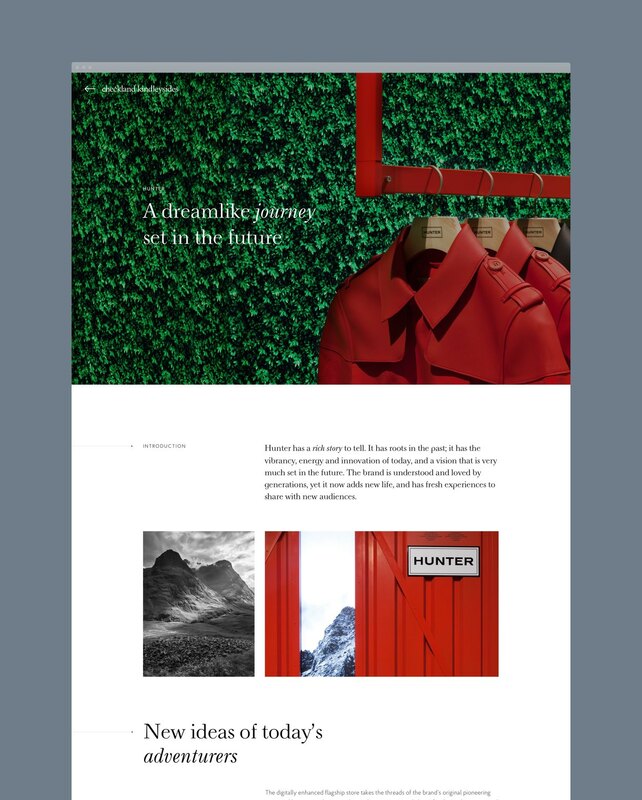 The site needed to hero their extensive and diverse range of well-crafted case studies, as well as provide a space for their latest news, creative community posts, a jobs board and a clear list of all the services they provide. 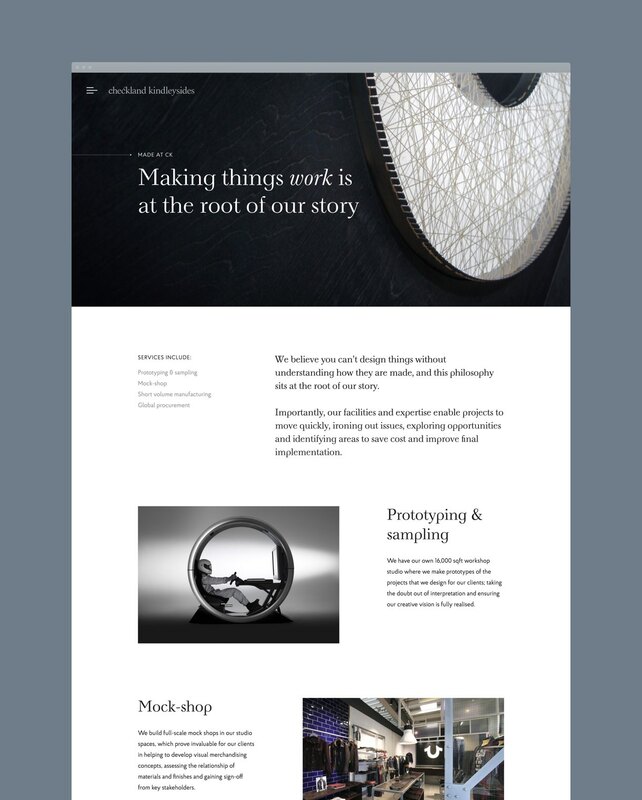 Collaborating within a small team at Sennep, we developed a look-and-feel that reflected craft and precision present in their work, using a pin-point graphical element with delicate hairlines and classic, refined typography. 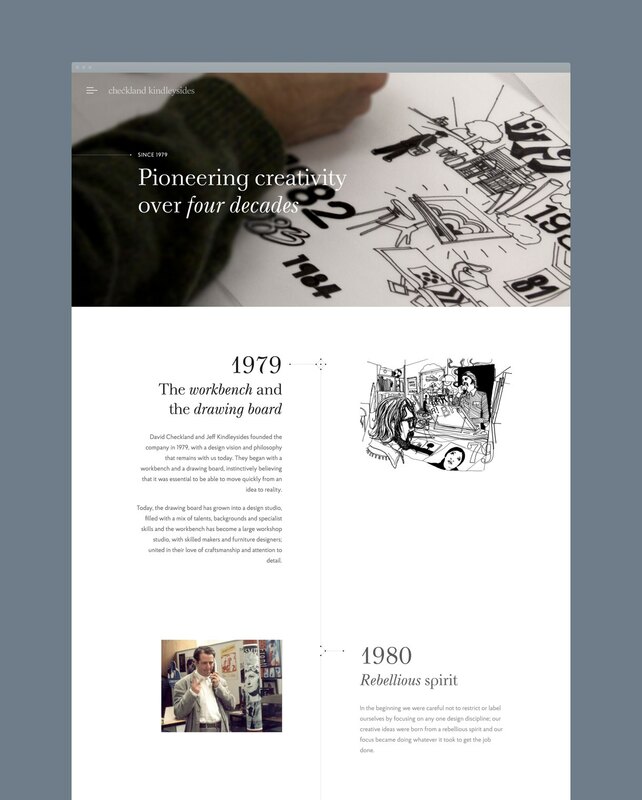 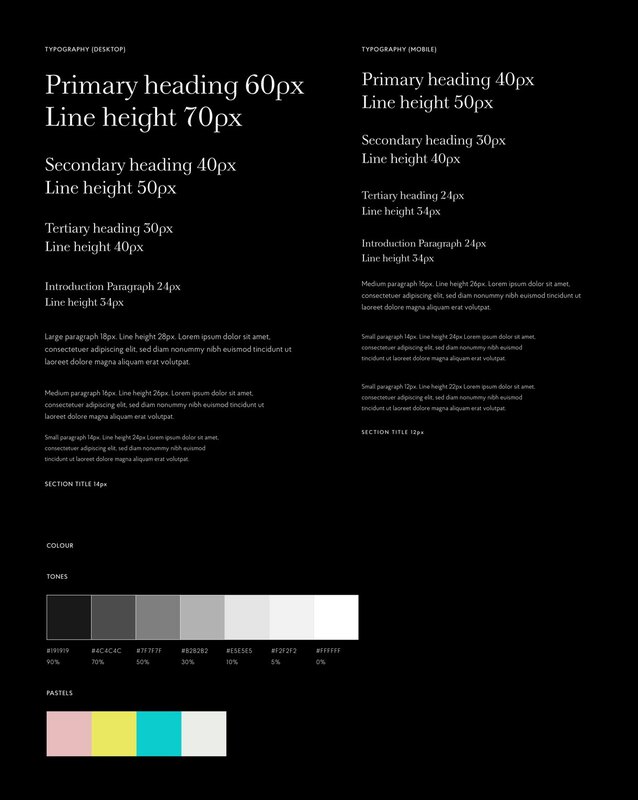 The colour palette was stripped back to black, grey and whites to create maximum focus on the full-width imagery. 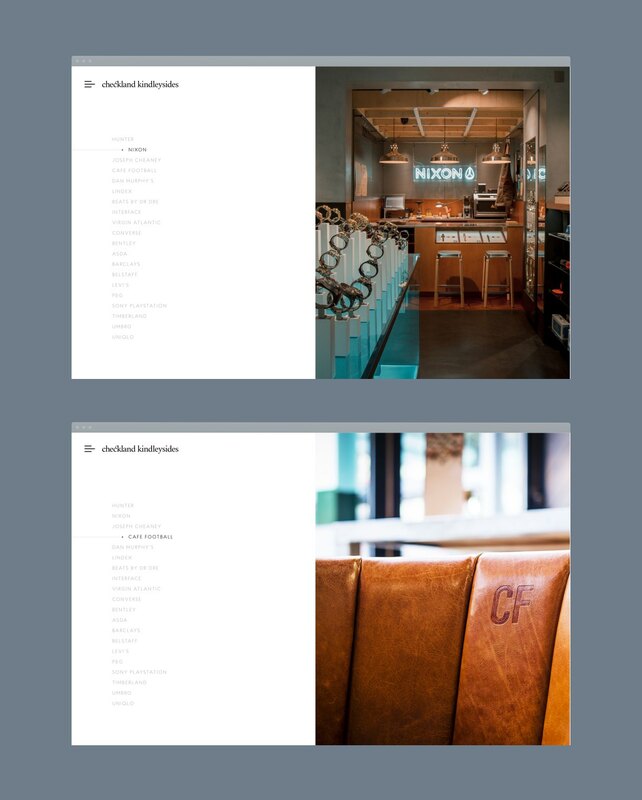 We developed an interesting grid system that was flexible enough to give interesting and varied layouts for each case study. 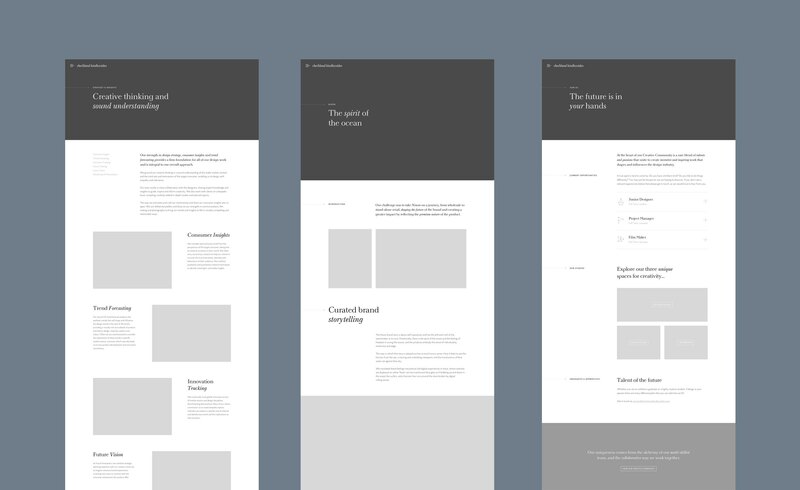 After creating templates for each of the pages, additional UI details were added including a series of delicate icons crafted from thin lines and dots. 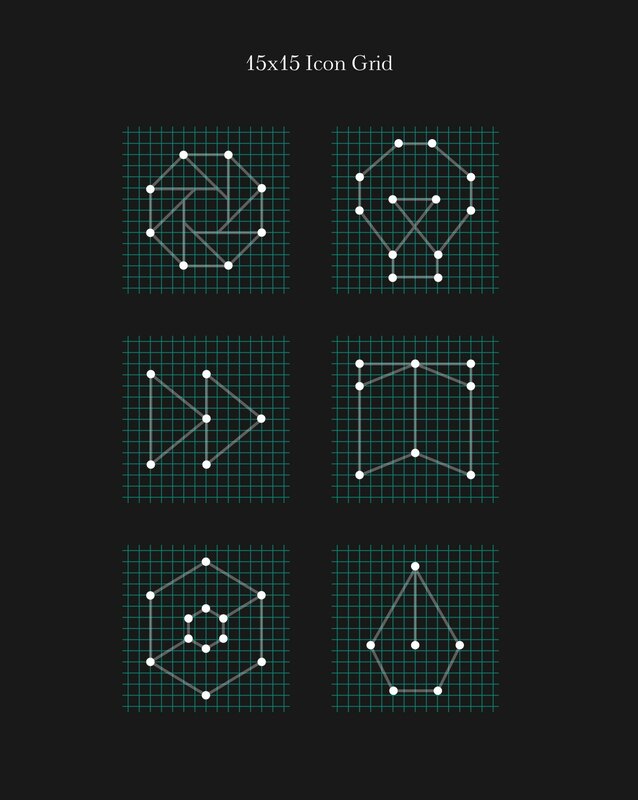 These icons were designed in a gridded system, and could be easily animated by altering the coordinates of the points. 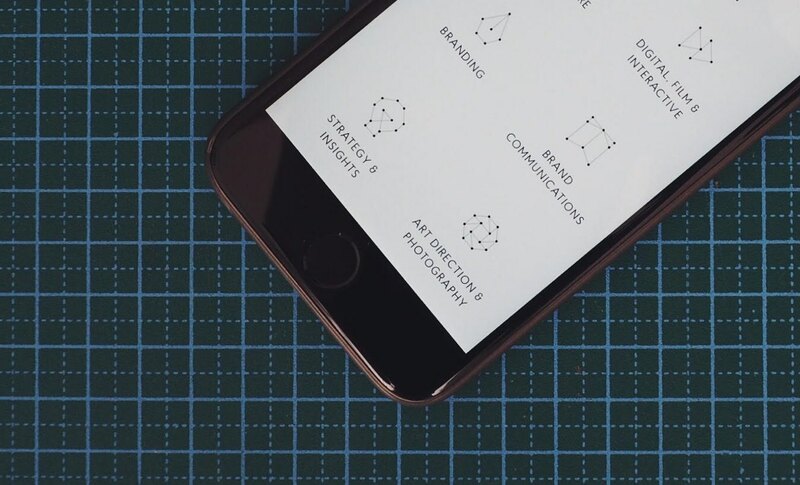 This visual language was continued across the site in small details, using smooth animation to bring in the line and dot element when appropriate. 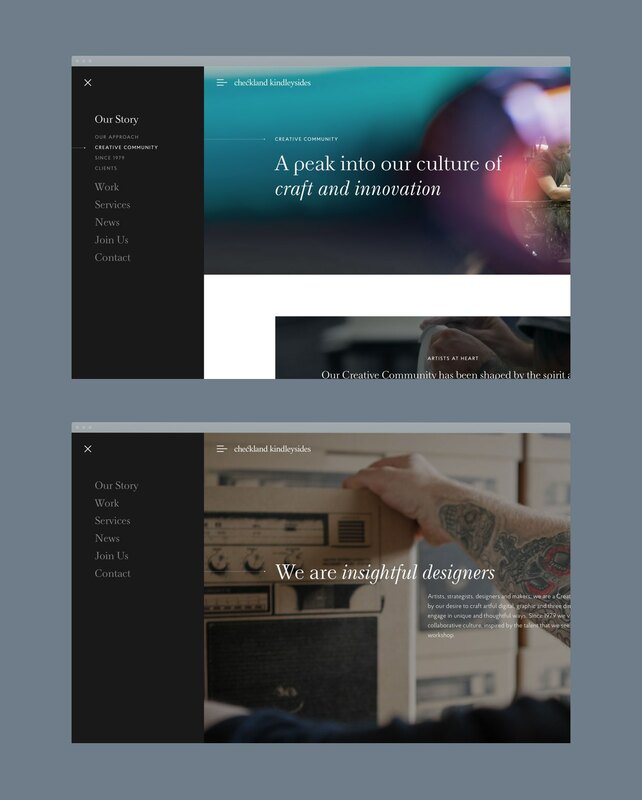 The website was built in-house by the talented Sennep dev team, meaning every design detail and transition was well considered on each section. 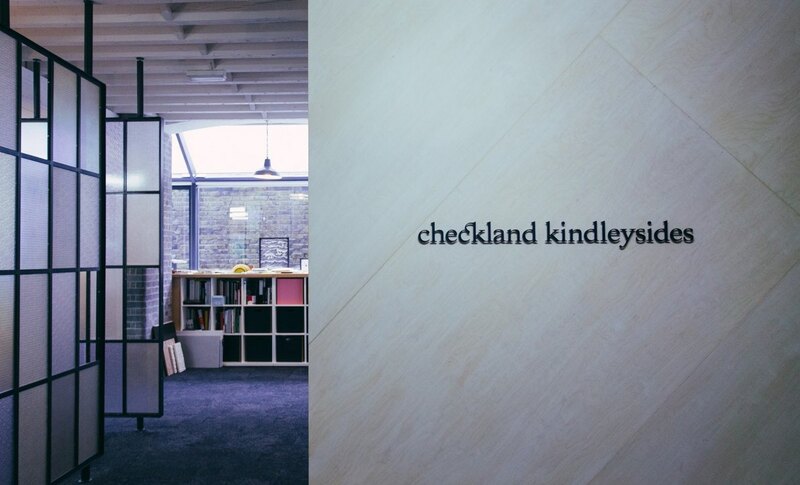 The end result communicated the craft and attention to detail that gives Checkland Kindleysides it’s reputation. 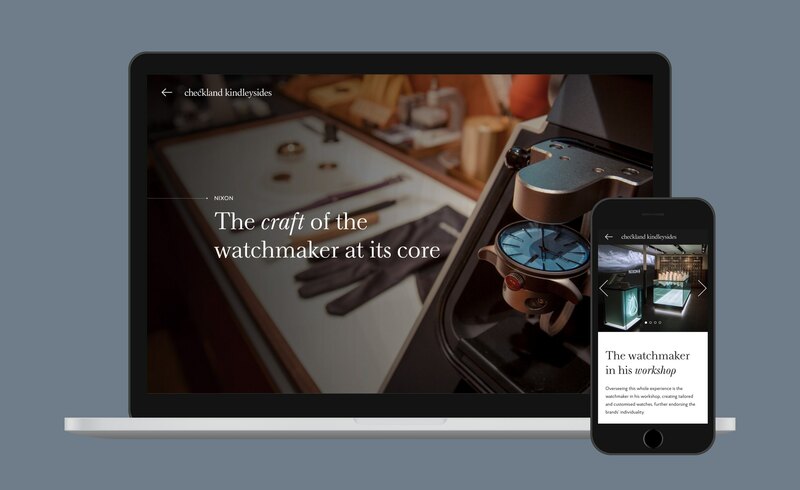 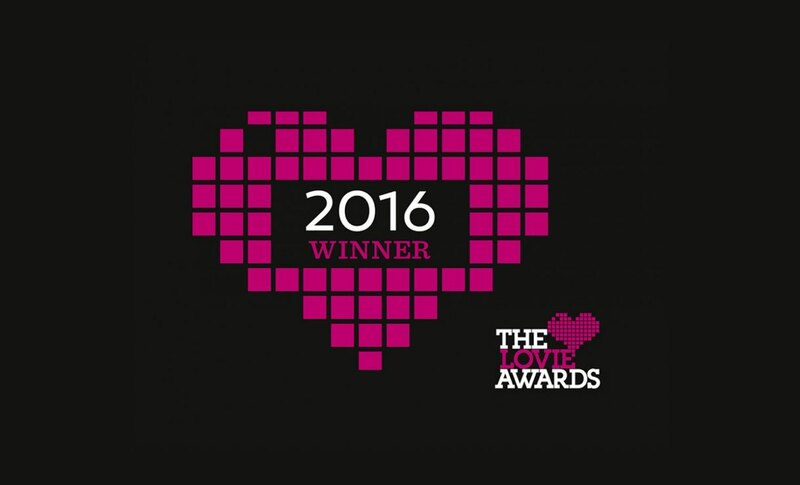 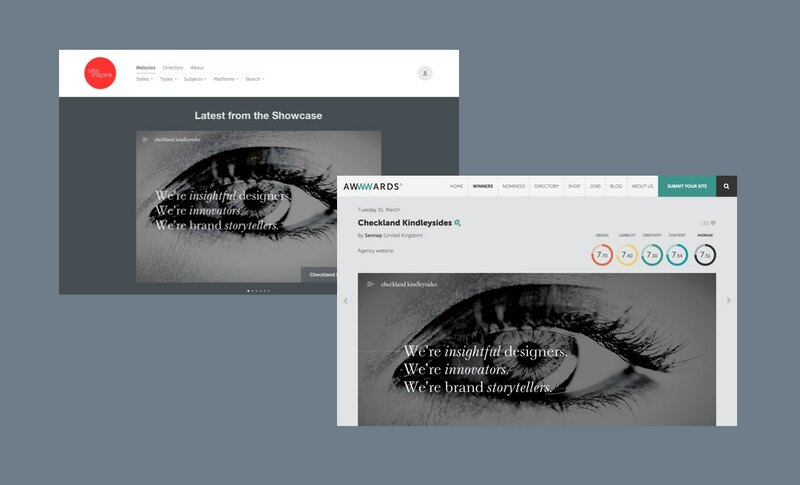 The site featured on high-profile showcases such as awwwards site of the day and site inspire, and won 2 categories in the Lovie Awards for Best User Experience and Corporate Comms.